Marodona was recognised as joint FIFA Player of the Century with Pele. 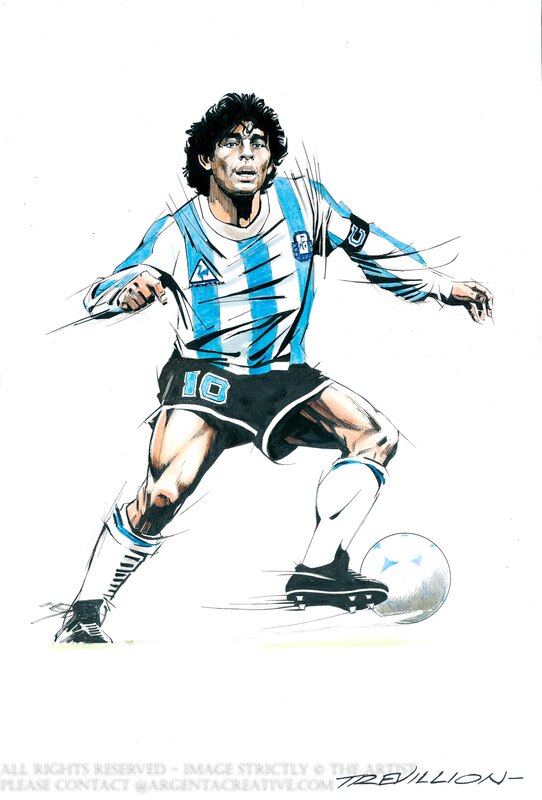 Maradona ‘s vision, passing dribbling skills and low centre of gravity allowed him to dribble past multiple players on exciting runs. He played 91 times for Argentina and scored 34 goals playing in the 10 position. He played in four FIFA World Cup Tournamounts. In 1986 he captained the team to victory over West Germany he also won the Golden ball for being player of the tournamount. It was in these finals that Maradona scored two Quater Final Goals against England. The first goal is remembered as the Hand of God as the officials failed to see a handling foul and the second was voted Goal of the Century as Maradona went on a run dribbling past five England players over 66 yards before passing the ball into the corner of the goal.